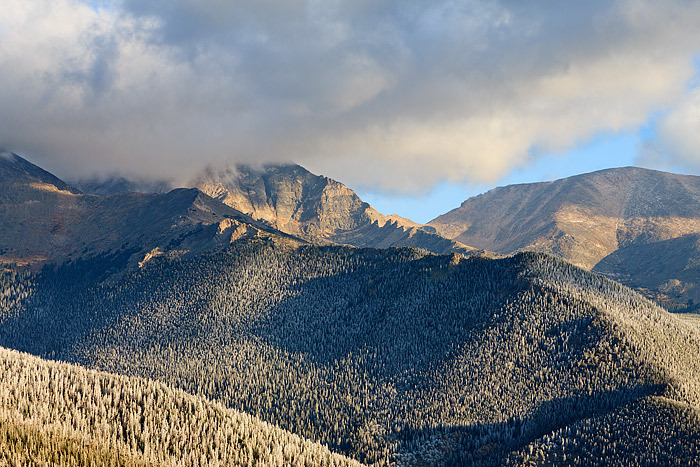 Mount Yipsilon reveals her iconic face as the clouds lift over Rocky Mountain National Park. An upslope weather system has coated the lower elevations in snow and rime ice, but above 11,000 ft there is very little snow coating the high peaks of the Mummy Range. Photo © copyright by Thomas Mangan.